Currently, you can only pay our delivery fees in Canadian dollars. Letter mail is the most convenient and cost-effective way to send personal messages, business correspondence, invoices, etc. Ensure that letter mail envelopes are fully sealed and bear a U.S. stamp or equivalent before dropping them off. You can purchase stamps through Superdave’s Express if needed. You can learn more about other package types below. First-class is a fast, affordable way to send envelopes and lightweight packages. It’s perfect for business and personal correspondence, cards, brochures, and lightweight merchandise. Includes tracking through USPS. Packages should take between 2-4 business days to arrive at their destination. Superdave’s Express accepts payment for first class postage in both U.S. dollars and Canadian dollars. Fast service in approximately 2-4 business days based on where your package is being sent. Prices are based on weight and zone. Includes tracking through USPS. Superdave’s Express accepts payment for priority shipping in both U.S. dollars and Canadian dollars. We ship from New York state, so the further from New York state the package is being shipped, the higher the cost. The price of any state not listed on the priority shipping chart can be determined by using the price of the state geographically closest to it. Please refer to the zone map below to determine the zone of your package’s destination. Example: If you are shipping a 5 lb package to Memphis, it would cost $10.72 USD. This is because Memphis is in the same zone as Atlanta. Cubic Pricing provides customers with discounted rates for small, heavy packages. Priority Mail packages weighing less than 20 lbs and measuring no more than 0.5 cubic feet in volume are eligible for Cubic Pricing. For these packages, customers will pay shipping costs for the actual size of the package and the shipping distance instead of its weight. Note: All measurements should be rounded down to the nearest 0.25 inch. The price of your package can be determined by finding where it lies on the table above according to box type and destination zone. Regional Rate Boxes provide shippers with a low cost mail class for packages traveling short distances. 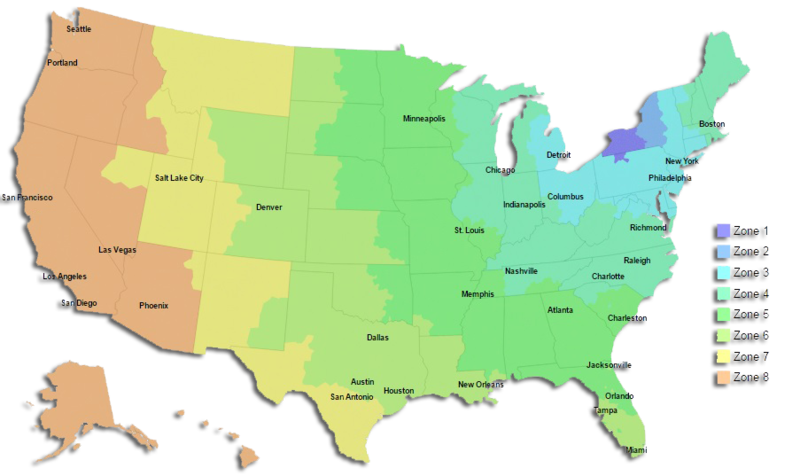 Pricing for Regional Rate Boxes is zone-based. Rates are based on the distance from the original package location to the delivery destination. The four different regional rate box options are listed below. Media Mail is a cost-effective way to send media materials through USPS. Includes tracking through USPS. Although you won’t pay as much to send these items via Media Mail, they can take longer to get to their destination. Your package will most likely arrive within 2-9 business days. Superdave’s Express accepts payment for media mail shipping in both U.S. dollars and Canadian dollars. Flat rate prices are available for anything shipped in a USPS flat rate box or envelope. Packages can be shipped anywhere in the United States for the a flat, non-changing price. Superdave’s Express accepts payment for flat rate postage in both U.S. dollars and Canadian dollars. Superdave’s Express can provide you with a USPS flat rate box or envelope for a small charge. Click here to view the different flat rate package and envelope sizes offered in a new tab.